We started this magazine to help parents, sort through all the information. When my children were diagnosed by autism, I was scared and overwhelmed, there’s a lot of information out there and it’s hard to know what to trust and what to believe in. So there is an approach in us to help form a magazine, I took the opportunity so it can help parents. So were through all that information so you don’t necessarily have to do it yourself, so we can bring you the information that you needed to make the most important choice for your child and what’s best in you and your family, not everything works for one kid. Other than that, I want you to know that you don’t have to be scared of autism, you don’t have to see autism as a burden just perhaps a different journey with an alternate route. 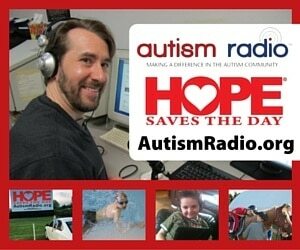 In the past a lot has happened in autism community, primarily the boycott against Autism Speaks and its sponsors. Now as an American that has two Autistic children, I of course heard about Autism Speaks, three major mentions, I often hear about their walks to help raise money, and in April they have upgraded for awareness and I have a major retailer I can ask if I would like to help donate money to help families that are afflicted by Autism. I don’t like that word afflicted. In the beginning when I could, I gave but then there came a time when people I know needed help and they filled out the paperwork and they sent in the paper work and they were denied, all of them. Now, if some of them are denied, maybe I would understand there’s as Susan Wright says “Three million people in America with autism”, that’s a lot of people that deserve needs for. But when all of them were denied, I started to wonder, I started looking into it, what I found was on their website under the about us page, you can go to their 2012 audit and financial statements and you can see for yourself that 18 million dollars was spent on salaries, over 15 million were spent on science and just over 2 million were spent on families, 2 million is a lot of money but says 18 million for salaries, if you start to contrast in these areas is very alarming to me, am I helping Autistic families?, I believe that everyone has the right to have their own opinion but I also believe that remaining silent on major issues makes your opinion, silence becomes your choice and your stand, I decided to not remain silent anymore. So you have the choice, you can donate to whoever you want but I want you to know that who your donating to, if your donating to Autism Speaks, you might well look in to what they’re spending their money on, so you can choose who you want to support. There are several organizations and foundations out there and I encourage you to research them all diligently before you donate your money but beside that, I mean Autism Speaks mission statement seems so positive at first glance, they promised to bring hope, raise awareness, find treatments, all things are fully support. But what is meant by biomedical research, is it in anyway knowing to harm people, and yes by people I also include babies and anybody else and any other form of human. How exactly is neurology going to be cured? If neurology is not an illness and hope, Autism Speaks mission statement includes hope yet when Susan write approach Washington DC and posted her call to Autism Speaks which is what started this whole Autism Speaks controversy, she told Washington DC in an essence America that autism families are living, that were living in despair, this is not awareness, this is not what I had in mind when we told us to light in April, I don’t want fear and pity for Autism and by Autism I mean children, I don’t want people to fear and pity my children, do we need awareness? Absolutely, but we need positive awareness, we need people to know that people with Autism are people, they need to be treated with respect and dignity, and that they’re awesome and loving people, I believe that people fear what they don’t know, the unknown. Do people know about the autism world? Absolutely, but do they know what’s behind Autism? I don’t think so. And this negativity is not going to help that, I believe that with knowledge of what Autism is will come understanding, with understanding will come acceptance and hopefully with acceptance, it will put an end to all this bullying that we hear about in the news. So for many people in the Autism community, the call of actions was the last draw and the boycott was formed. Now, I wasn’t following this at first which is why I ask one of my writers Rene Salas why she was part of the boycott and if you read all about her article, all about the boycott in her article and after in her Aspies article titled Changing Perspectives, this is Autism. Now, because of all of this, I was asked what my stand was and to be honest I been thinking about giving one initially, a lot goes on in the Autism Parenting and a lot of it is very controversial, but I researched about it, as I do all things in Autism, it’s my job and I contemplated and I researched more and I have crossed Martin Luther King Jr.’s quote that reads “There comes a time when silence is betrayal”, and I don’t want anyone who think that betrayed them where autism community as a whole, for that the line is I’m taking the stand, I’m tired of all the gloom and doom surrounding Autism, there’s a lot of positive things about it. Now, I won’t tell you that it’s all peachy and I’m not going to say that there’s anything all about struggling, we all have bad deeds and parenting was not easy. But that’s why I started the magazine that focuses on the strength of people with autism and that helps people find the resources that they need so you don’t have to struggle so hard and so you don’t feel in despair. Ultimately I believe that all of our children, we all want what’s best for them and I believe that it comes with telling our children we believe in them and that will seek them in a positive life. Now the turning point for me, a big turning point in my life was when people keep telling me, I would never thought your children have Autism, you all seems too happy or the line that most parent have heard “Your child doesn’t look Autistic”. Most parents would be angered by these comments but you know what, I don’t get angry when people say things like that to me because it shows me that Autism is still unknown, that we still need to gather voices out there that we need to educate people of what Autism is. 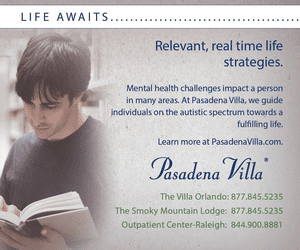 So I’m not mad of these people because they don’t know that you can live with Autism because the biggest Autism organization in America is telling the public that people with Autism are burdens and because of them families aren’t living and all this does is to create hatred towards Autistics. This is not hopeful and it’s certainly not helpful. The other day I read a blog post. The mom was asked by her first grade daughter if parenting was easy and she told her daughter, no it’s not easy but it is awesome and her daughter looked at her physically and said “How can something be totally not easy and be totally awesome at the same time” and her mother didn’t think of any example but after a while the daughter said to her, Is it kind of sledding? Jump hill, throw the snow with your sled but then you get the experience of the awesome ride down the hill and her mother said, “Yeah that’s exactly what it’s like”. Isn’t that parenting any child? You know, before I became a parent I used to tutor special needs children and a lot of them were adopted, they came over as infants and as they got older there adopted parents realized that there child had special needs and I started to help them and I remember one mother telling me she’d read all the parenting books, she was frightened for everything, she wasn’t ready for this, she didn’t know what to do and she was scared. So I took her by the hand and I said, then it’s time to hear a new set of books and together we’ll figure it out, and this is me taking her by the hand telling you there is help out there and on these days that you need help, we will be here to help you or put you in the direction that someone that can. But never give up hope and to never give up your positivity. So as of today, I’d like to announce that Autism Parenting Magazine is joining the boycott against the Autism Speaks and we encourage others to investigate the charities that they donate their money to, to help autism families because there are some very notable wonderful organizations out there that view Autistic individuals as awesome as they should be viewed and we support them and together we believe that we can all make the difference. 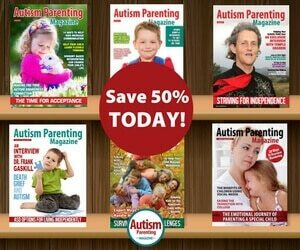 I’m Leslie Burby editor in chief of Autism Parenting Magazine.